Cath Bore from Liverpool, UK, started as a music writer in her early 20’s then went on to write creatively; with an MA in Creative Writing. Cath has flash fiction and feminist essays / creative non fiction published in the UK and the US. What motivated you to deal with the subject of domestic violence in your art? Domestic violence is a cause very close to my heart. I find it odd domestic violence victims and survivors are put in boxes labelled “it was their own fault”. The more we talk about DV in its different guises, the better. I wrote FRIDAY ROSES after I saw a Facebook meme about a woman who received flowers every birthday from her husband even though he died – he’s set up an on going order every year until she herself passed away. Many people thought it a romantic gesture; I looked at it from a different angle, what if he was abusive? What if really she wanted free of him? What if he was controlling her from the grave? What if the flowers every year were another way of belittling her, so she is never free? I think as writers and artists it is our duty to question everything. The red roses Brian sends on Fridays are delivered to the house, bound in a tight bundle. The taut rubber band pinks my fingers and thorny stems long and tentacular splice my skin as I unpick the stubborn brown rubber. My fingers cut and bleed but push the flowers into a vase. ‘Have they arrived, the flowers?’ Brian rings up and asks, as always. ‘And do you like them?’ He says this each time too. He makes me say it every week, forces me to lie. Sometimes I think I hate the roses more than I despise Brian. They offer up no scent, shiny plastic petals scratch the end of my nose as he forces me to sniff them and inhale plain air that smells of tap water. Flowers every week, how romantic, everyone says. You’re so lucky. My cracked ribs creak as I force uncomfortable words out from lips stiff and awkward with lies. In the end, all it takes is a little push. I watch Brian fall down the stairs, arms in frantic circles, hands grabbing air, gob flapping silently. He breaks. I taste copper in my mouth and smell its perfume, realise I’ve bitten my tongue and hold it between my teeth as I watched him windmill downwards. Relief washes through me like a flood but the police believe my tears. The following Friday roses arrive as usual, red like blood. I love writing and I always have, ever since I was a little girl. I write, leave it for a while then redraft, redraft, redraft. I always leave work for at least a week after that and give it another polish before I submit it anywhere. I love good writing, my favourite author is Marian Keyes, although we write in different genres. Her dialogue sparkles, every word a diamond. I carry a notebook around with me at all times and scribble words and phrases down, making note of what intrigues me. I use them for inspiration; I am never short of something to write about. At the moment I am getting lots of ideas from songs and song lyrics. Feminism is true equality of the genders. Men and women are different but not the same and I believe we should celebrate our differences, and include men and self-defining women in those celebrations. Get everyone on board! 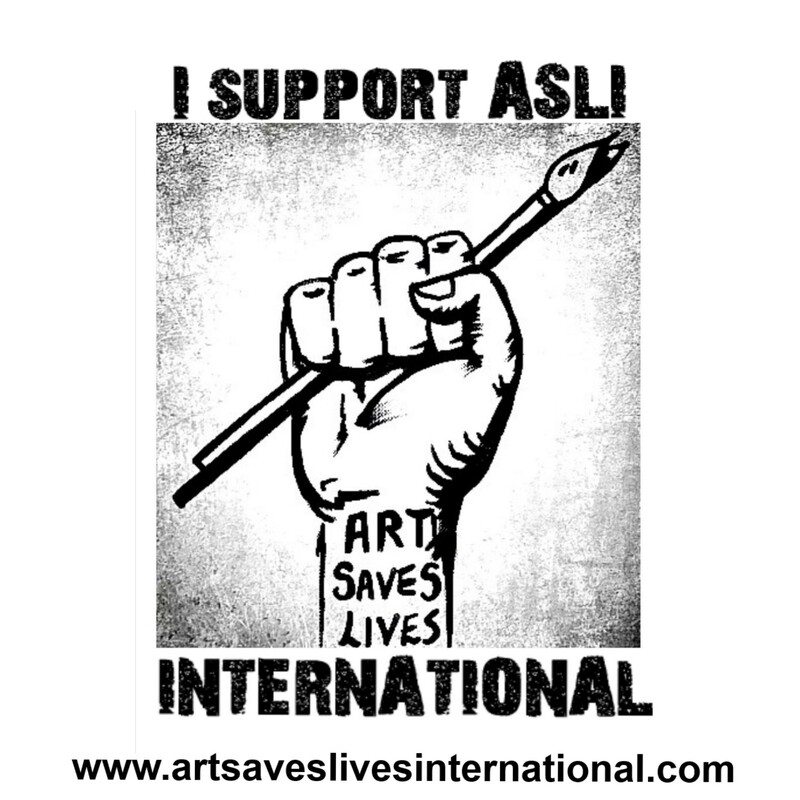 I love the message you’re putting out, using art of all kinds to educate, engage and express. It is something creatives do naturally, it’s great we get to do it en masse like this. Of course we do. We have to look a certain way, not be too loud or be funny – funny women scare people. I’m still trying to work that one out. Until women and men share things like childcare and housework equally in the home, equality is still a long way off. It’s great that men now do so much more than their fathers did, and they’ve done it without anyone telling them to – worked out themselves that spending time with their children and so forth makes for a happier family life. A 50/50 housework split in most households is still a long way off, though. I’m disturbed by the new trend to put down men, as if they are imbeciles and can’t cope with domestic tasks on their own. I did a reading away from home recently so had to stay overnight; someone seriously asked me “how will your husband cope?”. I replied, “he is not a child”. We need to give good men more credit. If I didn’t write I’d go bonkers. End of. In my writing I create female characters who meet the world on their own terms. I believe that creativity can be used as an amazing and effective tool to promote empowerment. I’d like even more people to read my work and to have my novel published and for it to be successful and critically acclaimed. I am working on a crime novel which I’m madly in love with, and lots of flash fiction. I’m increasingly writing feminist creative non-fiction, which I enjoy so much. And is there anything you would like to add to your interview? I’d like to thank you for publishing my short story and for all the fabulous work you do. You’re ace.